Foldable eyeglass holder with magnetic closure. Also contains sunglasses and closed occupies very little space. Frame composed of light metal plates coated with PU on the outside and flocked cloth on the inside. Customizable in full colours outside on the whole surface and with hot printing (silver or gold) on the inside (cm. 5 x 2). 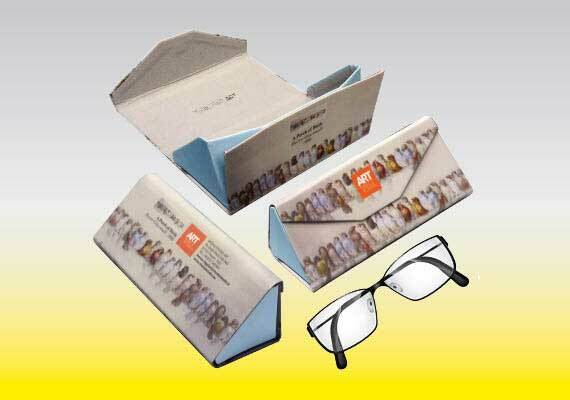 Package in single transparent foil bag and possibility to insert an illustrative cardboard cm. 15 x 6 (optional).